Reliably good food with excellent service. Ambience could use an upgrade. Overall, great place for some tasty Mediterranean Food. Place is small so it is bit tight and noise level can be bit much but not out of control loud. There were few in our group who had never had Mediterranean Food so number of items we had were bit surprise for them. All in all they loved all the food and quantity is descent so left full and happy. Food was delicious. We tasted many items. Bread was divine. Service was attentive and hospitable. The white tablecloth ambiance was elegant, but not fussy or formal. We’re putting this restaurant in our regular rotation. Food was good. Service was slow considering it was ealry and the restaurant was empty. The appetizers and bread were outstanding. My husband ordered a chicken kebab in a yogurt sauce and really liked it. I ordered the vegetable entree and found it over cooked and tasteless. Terrific menu with large generous portions. Great place to meet friends and have an enjoyable, unrushed dinner. BYO helps drive great value, definitely will go back. Excellent food. Everything homemade from scratch. Got the hummus, Baba Ganoush, stuffed grape leaves, chicken kabob, and falafel and it was all fantastic. The warm homemade pitas that accompanied the hummus was delicious. Also had the Turkish Tea which was very good. Excellent food and service. Great value! A neighborhood gem that I never knew about. Very good food. High quality and generous portions. Glad we tried this place. Dining room was spacious and the noise level was perfect. The food was surprisingly good. We had the shepherd salad, hummus and zucchini pancakes for appetizers everything was excellent with fresh flavor nice portions. For dinner we had the combination plates with chicken and lamb. Again, everything was tasty and cooked to our liking. The only downside is price is a bit high for what you get 27 dollars for two lamb chops and a few shish nuggets was surprising. Overall a great place to enjoy different food with your own bottle in a roomy well decorated environment. Thought the food was very good, but the service was just OK. It was a Saturday evening and felt like the waitress was rushing us to order, but then disappeared between courses. Excellent food at a great value, and impeccable service! Call restaurant for reservations. Open Tables was not accurate at all in making times for reservations. Good food and good value. The warm bread that came with appetizers was so enjoyable to eat, that it was a perfect start to the evening. The appetizer platter was more than enough food for 4 people to share. I ordered the chicken shish and diner kabob. Very tasty dish and ton of food! BYOB makes the overall evening great value. We’ll be back for more! This it the third time we have been to this gem. 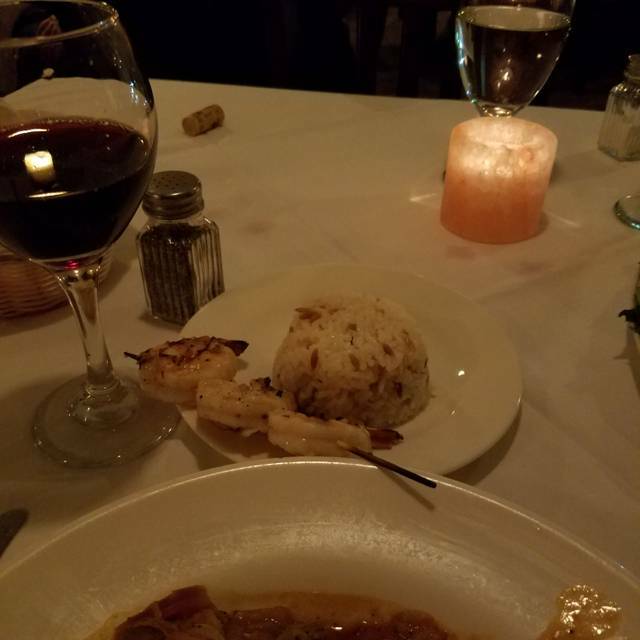 On each occasion, the food was excellent as was the service. In our party was a mix of vegan, pescatarian, one person who is very sensitive to spicy food, and an omnivore. Everyone loved what they ate. Side note: I asked the waiter for some hot sauce, and it was the best I have ever had. I asked for the brand and was told that it is home made. I am not surprised. Delicious!!! Accommodating staff and terrific food. Ample portions. 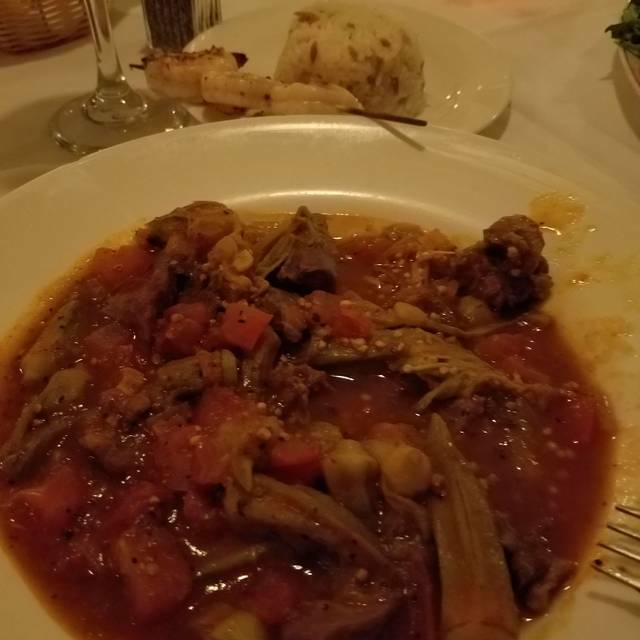 Always a great meal — the meat in particular done to perfection! Service was terrific. We had the small appetizer sampler. Delicious. The calamari was a little soggy. The sauce was excellent. The bread was delicious. I shared the mixed grill platter. It was big enough for two. Bronzino was huge! My mom and brother ordered and they thoroughly enjoyed. We have been to Grillera a number of times and always find the food and service very good. Prices are moderate and BYOB makes for a night of excellent dining for a low price. Value for money, healthy and tasty authentic Mediterranean cuisine. Great service too! A delicious meal start to finish! The large mixed appetizer platter was filled with many flavorful dips and the bread brought to the table was the perfect accompaniment. Exemplary baklava! I look forward to my next meal here. The waitress steered us to the large appetizer sampler which was fantastic. I had lamb chops perfectly cooked. The mashed eggplant also excellent. No complaints from any of us. Great meal- we’ll be back. Did not realize there was no alcohol. This should have been mentioned in an obvious way! Families with kids who were undisciplined made it noisy and annoying. Food was quite good however. Service was average. Bread was exceptional, food was great, hummus was best I've eaten. Had chicken shish kabob, which was so flavorful. Nice atmosphere, really enjoyed the experience. The food and service were both very good as usual — which is why we keep going back! We always enjoy Grilleria. The small mixed appetizer plate is very good. The pita is excellent. 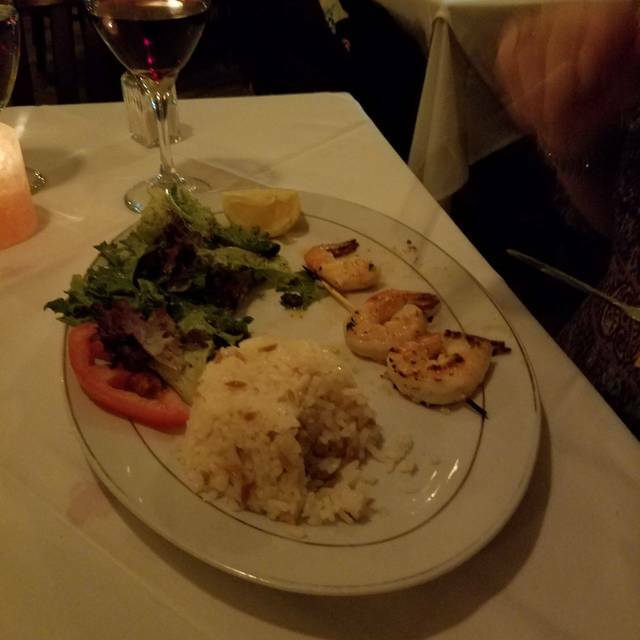 We enjoyed chicken shish and the grilled shrimp. Kudos. Lovely dinner, we split stuffed cabbage and chicken kabobs, all excellent. Bread was delicious, service efficient and friendly. Can't wait to go back. The ambiance was nice, but the food was a bit of a disappointment. Baklava was especially disappointing. This was our third visit and were please to continue to find consistent high quality and interesting food. Between the four of us, 2 ordered the more-than-amble combination plate, 1 ordered a regular dinner and one (our vegan) a vegetable side. We also ordered the tasting appetizer. Once our vegan saw that, it became her entre. Even give her coopting, there was plenty of appetizer for all. The combo couple took the balance on there order home and had a full and wonderful tasting meal the next day. Between the size of the plates and the BYOB format, Gilleria wind up being pretty cost effective. Delicious, fresh, Mediterranean cuisine. The 6 of us shared appetizers and they were all fabulous. This is some of the best food I have had since I moved to NJ and will definitely be going back to Grillera. Great food. We felt a bit rushed for a Friday night. I had been to the restaurant once before and decided to give it a second try. We were greeted immediately and were asked if we had been there before. My friends said they had no they had not. Server never took the time to explain anything. We ordered rare lamb shish and it came medium well done but server never came to table to check if everything was ok. It took us 20 minutes to get our check. I truly was disappointed and embarrassed to have brought my friends there. With Biladia down the street I reason to come back.